This just in: Geeks are mating! This unexpected turn of events comes with an after effect, geek children. While the introduction was written in a humorous manner, the topic of geek children is very serious. So now the question becomes what to do with the children. Do you let them discover their inner geek like you did, clumsily stumbling across it, or do you guide them on their way with carefully chosen material? If you choose the second path, to guide them on their path of geek, what books do you use? Here is a list of chosen book that are perfect for easing children into that addictive world of fantasy and science fiction that we spent so much time in. I have decided to start with the grandfather of modern fantasy as we know it. 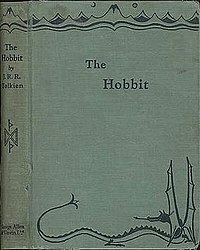 The Hobbit, publish originally for kids and long before the Lord of the Ring was even a glimmer in Tolkien’s eye, is the tale of Bilbo Baggins as he leaves home for adventure. With him we meet the mysterious Gandulf the Grey, the disfigured Golem, the one ring, the powerful Sting, and middle earth itself. While its older sisters focus on war, chaos, the corruptibility of man, and destiny, The Hobbit takes a lighter tone. Instead of war we get singing dwarves, rhyming dragons, and puzzle competitions. Instead of Sauron we have Smaug. The book is not without its battles as we see the book climax with the outstanding Battle of Five Armies. 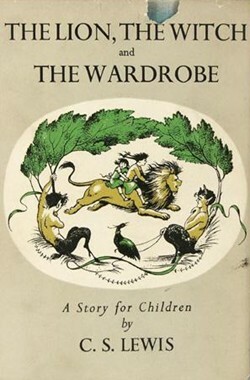 The first published book in the legendary Chronicles of Narnia series introduces us to the land of Narnia as four siblings, Peter, Susan, Edmund and Lucy, get pulled from our world into fantasy world where the animals talk, the Saytr’s offer you teas, and the world has been plunged into an eternal winter by a wicked White Witch. The book plays like a fairy tale that has paired up with an high fantasy adventure. The first book, in the Song of the Lioness Quartet, introduce the reader to Alanna, a magically blessed girl who disguises herself as a boy so she can enter the military academy to train to become a knight. The book, more suited for the young females, is a coming of age tale of a strong female heroin. The book contains light feminist themes, nothing that could be considered damage or excessive, but instead more in the line of pro-female literature, promoting a strong female hero instead of fantasy’s traditional male hero. While this book was never intended to be a children’s book, thousands of schools across North America have inducted this book into their required reading. Card tells the tale of a genius child who trains to become Earth’s greatest military commander so that he can win the war against the Alien race. 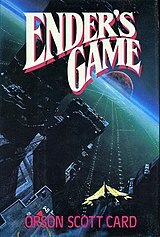 The book, which has heavy science fiction premise, is not bogged down by the science fiction, but instead it focuses on Ender and his friends while the science fiction happens in the background. We watch as Ender grows up, using future tech to learn how to fight, how to grow and how to learn, while his siblings use their own genius to take the internet by storm with their pro-peace values and their ideas to better mankind. There is not much that can be said about the Harry Potter series that hasn’t been said already. This is the book that revitalized reading for children and shocked the world by getting adults addicted to it. The series that became so popular that it has appeared in The Simpsons, Family Guy and even Doctor Who, but aside from the hype and praise the Harry Potter series does something that the previously mentioned books have not been able to. Harry Potter can introduce kids to Urban Fantasy. Urban fantasy, wizards and monsters in modern day, is a new genus of fantasy but one that is quickly growing. The books are well written and have a strong sense of humour and originality needed to spark the imagination in a child. The character of Drizzt Do’Urden is very popular and has spawned a following for the Forgotten Realms and the world of Faerun, but sadly the books are built in such a way that makes them hard to find a place from which to launch from. With the new children’s book Stowaway, the teenage reader is introduced to the famous renegade Drow, the young Maimun, and the world of Faerun. This book opens a deep fantasy world that has been growing and evolving since 1987. 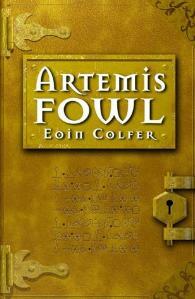 Following in the Urban fantasy tradition and mixed with the humour of Britain we are introduced to Artemis Fowl. Described by its author as “Die Hard with fairies”, it follows the adventures of its 12-year-old title character, a criminal mastermind, as he kidnaps a fairy for a large ransom of gold. The book, told in the third person narration, tends to focus its attention on the themes greed and conflict, and the tribulations of each. There are numerous books which could have been added to the list, and some which other believe should be on there,[Eragon, Colour of Magic, The Lightning Thief, or Dragons of Autumn Twilight] I was focusing on books that were light in fantasy and science fiction and would be a good solid stepping stone into the deep fantasy world and the vast science fiction Universe. This entry was posted in Books, movie, Tome of Geek and tagged ender's game, harry potter, Harry Potter and the Deathly Hallows, Narnia, orsen scott card, Tamora Pierce, The Lion, The Voyage of the Dawn Treader, the Witch and the Wardrobe. Bookmark the permalink. Thank you so much! It’s very cool to know I am numbered by others of my kind!